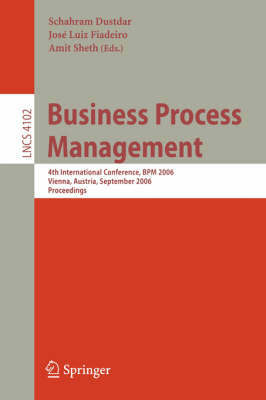 This book constitutes the refereed proceedings of the 4th International Conference on Business Process Management, BPM 2006. The book presents 20 revised full papers, 5 industrial papers, and 15 short papers together with an invited paper and the abstract of an invited talk. The papers are organized in topical sections on monitoring and mining, service composition, process models and languages, dynamic process management, Web service composition, and applied business process management.